A drop might do for some, but not us. It is legal to advertise an ingredient in a product, or call a product after that ingredient as long as you have the ingredient in the product… Even if it’s only a DROP! As most people know who read ingredient labels: The first ingredient is the most prominent. As you go down the list there is less and less of what is there. So if the ingredient you are buying the product for is five or six lines down, chances are you only have a drop or less in each use. What gives? Why do companies exaggerate the best ingredients and ignore the elephant in the room – The frankenstein ingredients that they throw in to make them last longer on the shelves? Would a product ever be called “Yellow #11 Cream”? It’s not quite as catchy and I think you answered your own question. That’s right. The named ingredient is listed third to last. Right after Yellow #11 and Red #17. Just like I would never recommend using the oils directly on the skin (they don’t absorb), I would never say is enough! We deal with miraculous ingredients everyday but they’d have to be taken from the Fountain of Youth for a drop to make an effect! Argan Oil makes up 5% of our Tamanu Cream. The primary ingredient (and namesake) Tamanu Oil makes up 6%. Would you rather have something that looks (coloring) and smells (fragrances) great when first opened – or something that actually works and makes you feel good? Why Have International Shipping Prices Increased? You may have noticed your international shipping bill increased this year. Compared to what you were spending, this is a rather large increase at that. Why has Carley’s Clear & Smooth increased their price and is it worth it? USPS (United States Postal Service) increased their postage rates for American sellers shipping internationally as of January 2013. These prices hit hard for international customers as they increased about $7 across the board for the type of shipments that go internationally. Virtually all small businesses in America that ship internationally are struggling to cope. Being American-Made is something for us to be proud of. These products are made in America and packaged and shipped around the world using some of the best ingredients in the world. That means a lot of product going back and forth over the borders. While we love shipping to all parts of the world, it is just not possible for us to eat all of these shipping costs. You will see your shipping increase but don’t let that discourage you from trying quite perhaps the most truly natural product in the world with the best ingredients. While you can put a price on clear skin and overall skin health (despite what those $100 moisturizer makers tell you), we’d like to think we are still quite affordable for what the products offer. Ask yourself how may months do you get out of a bottle? If you get the 3-4 months that we recommend, you are looking at the price of about 3 cups of coffee at Starbucks a month (about $10-$13). If you order two products you’ll still pay the same international rates so consider that. You can find cheaper acne and skincare products if you walk to your local drug store, sure. You can also find some incredibly expensive options and we believe that Carley’s Clear & Smooth sits at the lower end of this totem pole of quality products. Do you really want to skimp out on something that you enjoy so much for you skin to go for the cheap drugstore options that didn’t work before? Will the prices continue increasing? Eventually, yes but not likely anytime soon. We’re doing our best to make sure the shipping prices don’t hurt our customers. We actually lose money on many transactions over shipping and we need to anticipate these increases just as much as any penny pinching customer. As gas prices rise and the USPS faces more budget problems, we’ll see future increases for all American exporters at some point. This increase was substantial and likely won’t happen again for some time. One thing you can look out for is exchange rates. In countries like Australia, the US dollar goes far and looks to continue that way so things can always be worse. Email me if you have any questions about the most affordable shipping options for your international order. We follow the orders to make sure they go where they need to go so you can continue using your favorite American products! The number one question we get about products to use with our skin treatments is – What do I use for a foundation? How do I cover my acne until Carley’s kicks in? We love nothing better than hearing your stories of make-up free days. Even with clear skin, most women need make up when going. But as we investigated most make up, we were mostly concerned with the first layer. The foundation. Liquid foundations on the market are just horrible. They are loaded with all sorts of chemicals. Just look at the ingredient labels. How many of those ingredients can you pronounce? It’s the same stuff in almost all store-bought moisturizers. Designed to be easy to manufacture and last on store shelves for years. Here’s the kicker: Most liquid foundations are so acidic, they may actually counteract our treatment. That’s ok for most, but not for acne prone skin. You already know that you can’t use everything because many things make your acne worse. 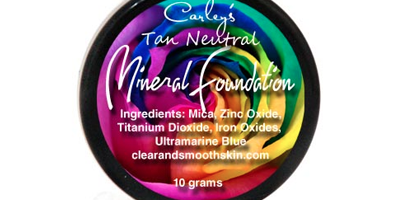 Mineral make ups are good, but many have suspicious ingredients too. We like a simple formula that provides good coverage. Easy to apply. Lasts all day. Has sunscreen protection too. Carley’s Daytime Moisturizer for Acne Prone Skin is perfect under it. With a powdered mineral foundation, they are applied with a brush and last all day. Mineral foundation make up is even water proof. While covering up skin discolorations they still feel light. 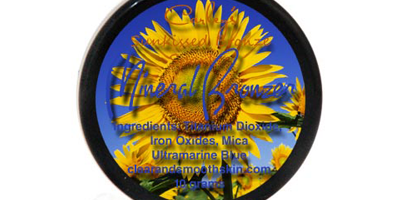 Coming in 17 different colors and contains Mica, Zinc Oxides, Titaniam-Dioxide, Iron Oxides, Ultramarine Blue. does not contain Bizmouth Oxychloride. 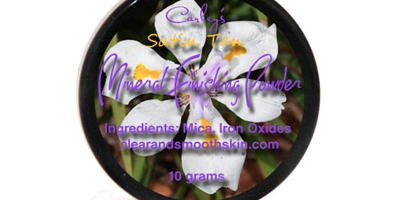 To be used over the mineral foundation is Carley’s Mineral Finishing Powder. 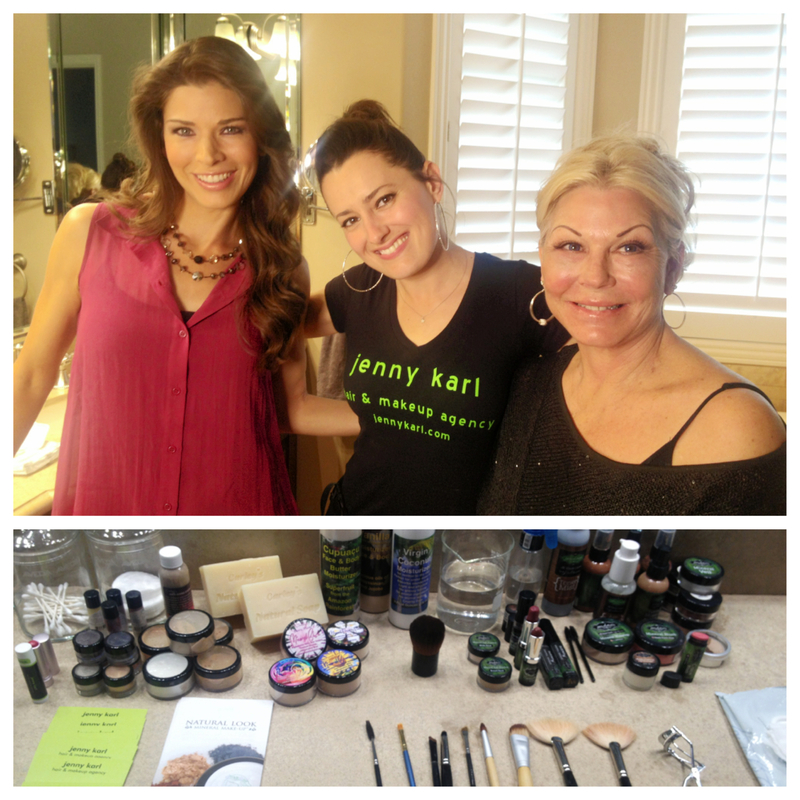 Giving you that finished, dewy look is made to set your makeup so your makeup is even. Containing Mica and Iron Oxides, this is a simple formula that is highly effective at handling the job. So you have your makeup set and looking glamorous. How do you get that red, blushed look in your face that you always see makeup models demonstrate so perfectly. 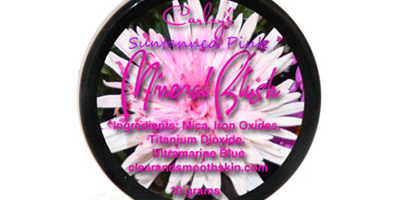 A Mineral Blush is great at handling this naturally with Mica, Iron Oxides, Titanium Dioxide and Ultramarine Blue. Getting that perfect sun-kissed look is possible with a proper bronzer. With a Mineral Bronzer, you have the opportunity to have that perfect bronzed, tanned look without forcing yourself to sit out in the sun all day and hurting your skin. Containing Mica, Iron Oxides and Ultramarine Blue, this highly simple formula has what you need for that golden shine to your skin. People ask us all the time if can they use their cold cream. We say due to the acidity and chemicals in cold creams to get the best results, we prefer you don’t. In fact we ask you to try to avoid all other liquid skin care products due to the ingredients and consistency. Use the Natural Soap to wash off the makeup. What if the natural soap doesn’t remove the eye make up? Easy. Just get a small bottle of Extra Virgin Olive Oil. Use that with a cotton pad to easily remove make up. Then close your eyes tight and wash with our natural soap (again). Rinse. 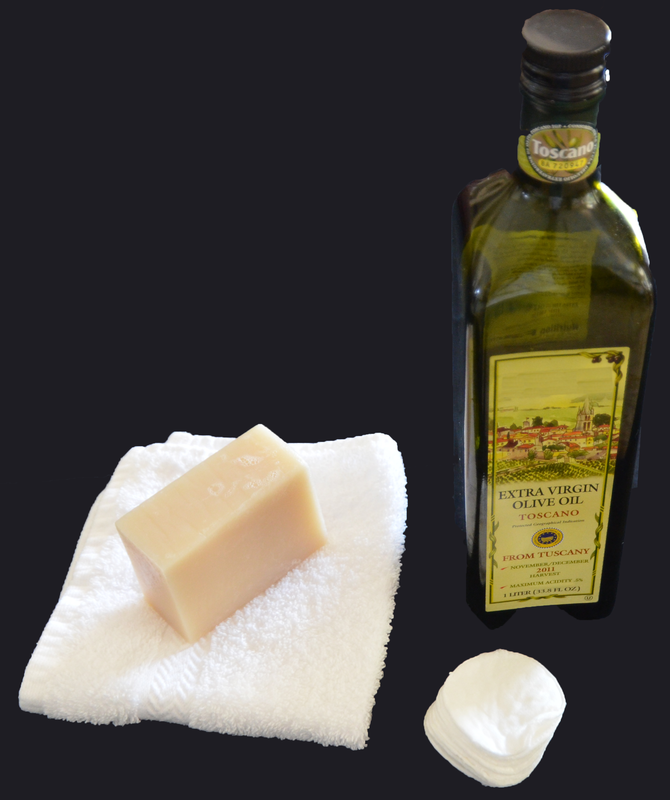 Keep in mind, Extra Virgin Olive Oil is a very delicate product and should be refrigerated for long term storage. Keep a small bottle of it in your bath and the big bottle in your fridge. If not the fridge, make sure the bottle is tinted, not clear. Carley’s Clear & Smooth does not have a large advertising budget. We’ve found that our company’s expenses lean enables us to better focus on you, the customer. Without massive advertising expenses we keep overhead low so they can be affordable and made of the highest quality. Despite our lack of budget, customers and bloggers love to talk about Carley’s Clear & Smooth. Here are some press mentions, blog reviews and review websites that mention us. Acne.org, a popular acne review resource that lets users rate acne products currently has Carley’s Clear & Smooth rated one of the top five most popular and highest rated product lines at 4.24/5 average rating.